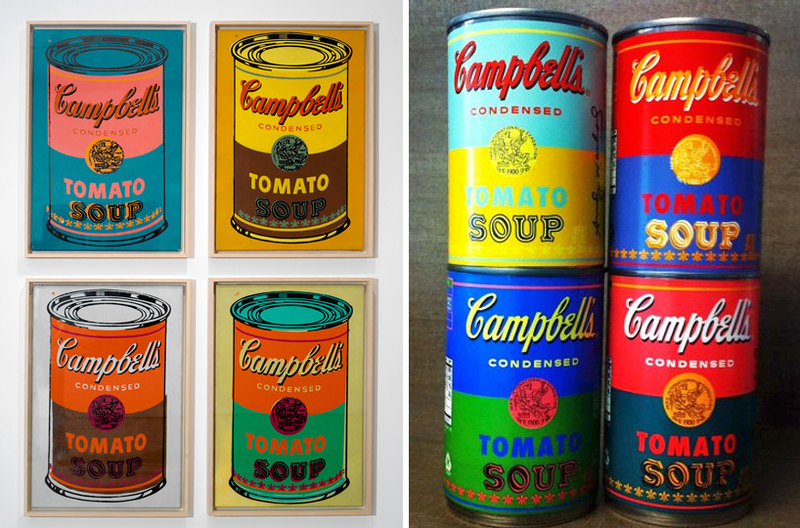 Campbell made a limited edition of soup cans that resemble Andy Warhol’s original paintings. They are available only at Target for .75 cents! And also already on ebay for $10 for a set of 4. Might have to go to Target just to see these on the shelf. How cool. Did you also know that Andy Warhol ate Campbell’s Soup everyday for lunch for 20 years? That’s probably why I make cards with coffee, cupcakes and ice cream on them..